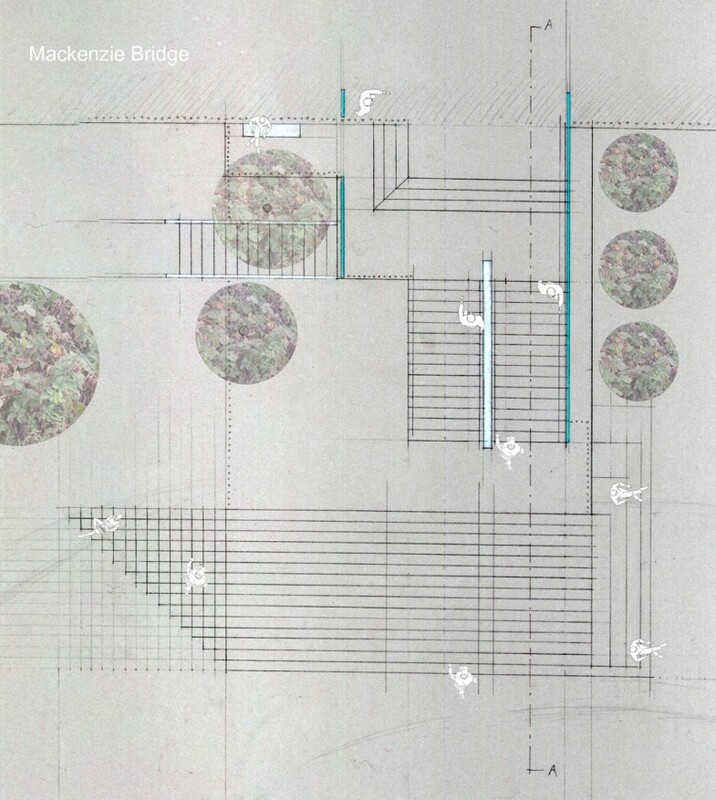 In one week, a design for new entrance stairs connecting Ottawa’s Confederation Park to Mackenzie Bridge was required. 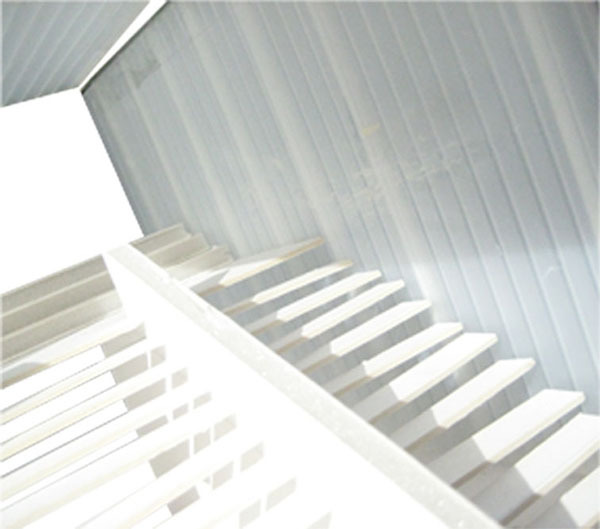 Stair acting as a circulation path, a stage, shelter, seating, a platform for observation, a meeting point, a place to eat and rest. Elevation of stair showing scale and canopy design as well as seating facing the park at the bottom right (in white). Side elevation of stair within site. 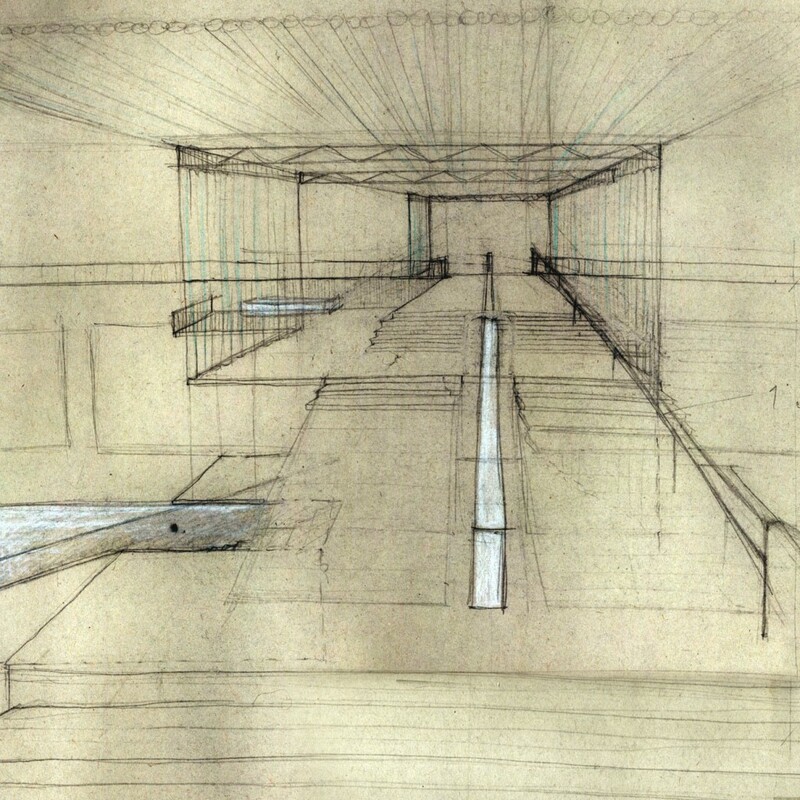 A canopy highlighted in blue is made up of glass tubes, shelters pedestrians.